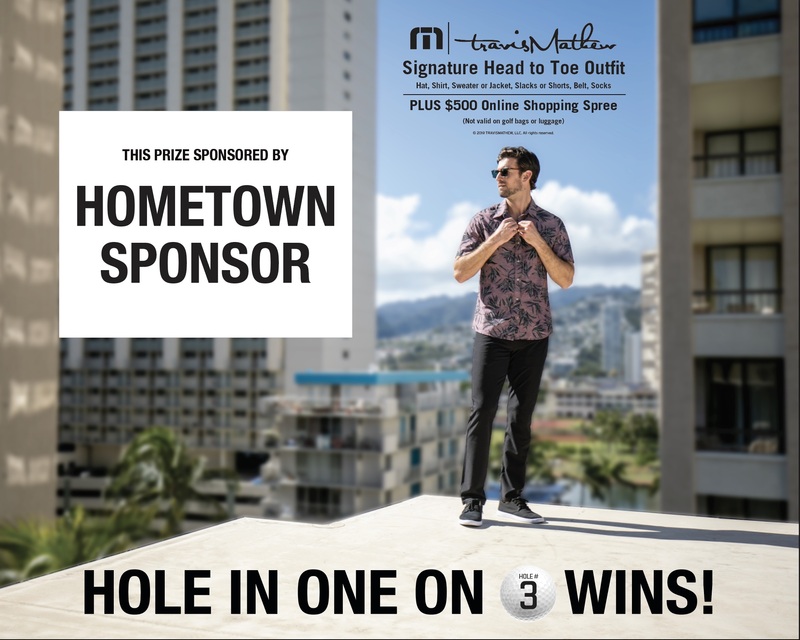 Not only does American Hole ‘n One offer the best hole in one insurance coverage in the business, but we also offer the most exclusive bonus prizes that will be sure to draw a crowd to your tournament. 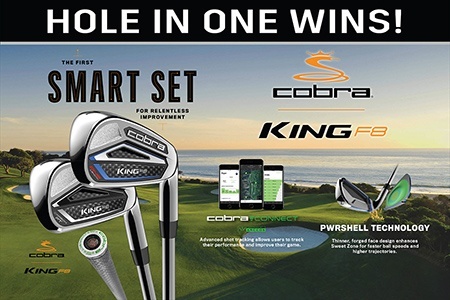 Along with covering the main prize at your event, you also receive bonus prizes to place on three additional par 3 hole(s) with no added cost. 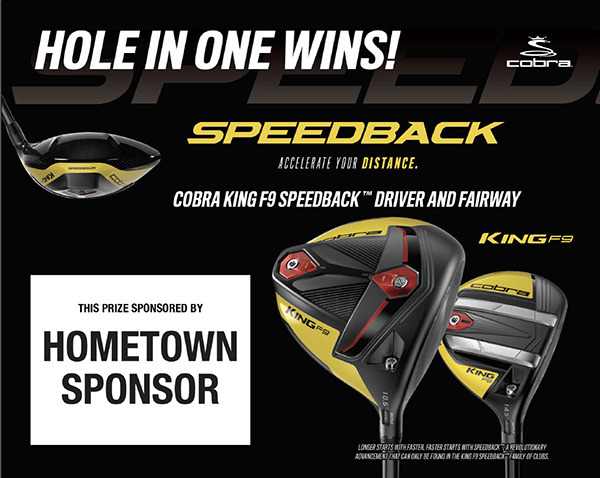 Our bonus prize partners work with us to put together a prize package that is unmatched! Explore our many options below and also take note of our amazing bonus prize signs that are included in your signage package when booking with us. Give us a call today or fill out the form below for more information! Oakley is one of the leading product design and sport performance brands in the world, chosen by world-class athletes to compete at the highest level possible. The holder of more than 850 patents, Oakley is also known for its innovative lens technologies, including PRIZMTM. 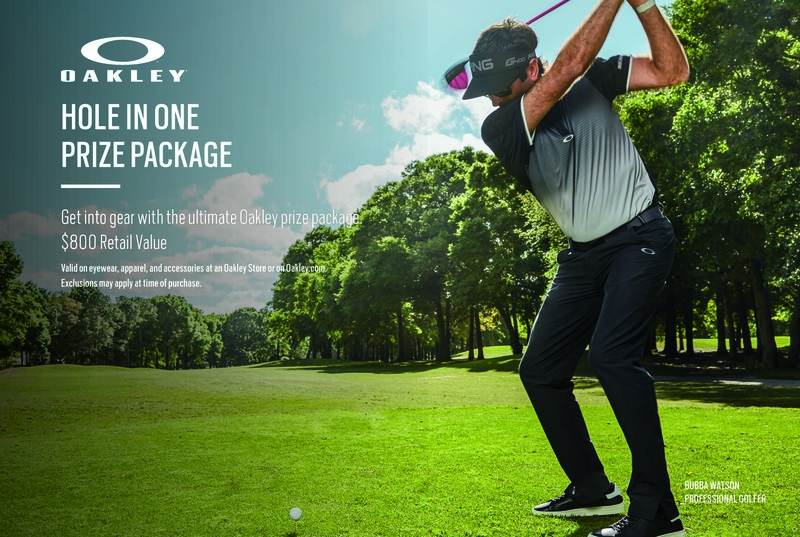 Oakley extended its position as a sports eyewear brand into apparel and accessories, offering men’s and women’s product lines that appeal to sport performance, active and lifestyle consumers. The winner of this prize will get into gear with their choice of eyewear, apparel and accessories at an Oakley store or on Oakley.com. TeeOff.com is the Official Tee Time Site for the PGA Tour. 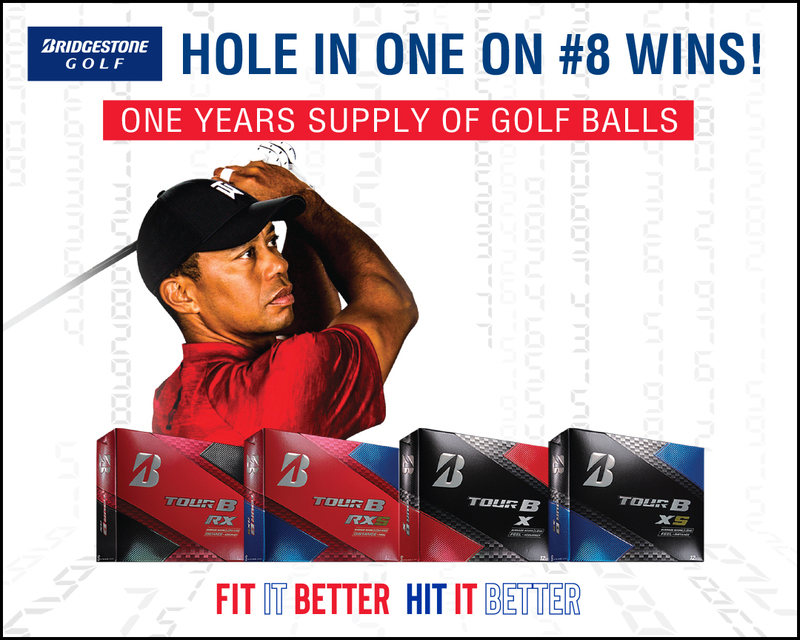 Choose from over 3,100 golf courses online and visit TeeOff.com for more information on available locations and courses. 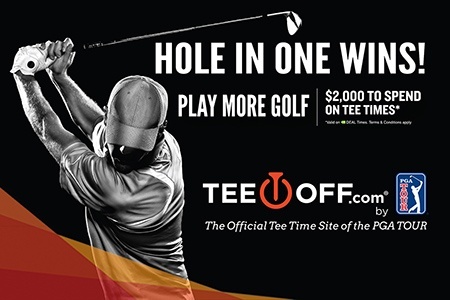 The winner of our TeeOff.com bonus prize will receive $2,000 to spend on tee times. That’s free golf! 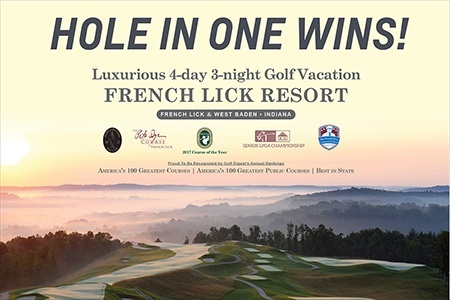 The winner of our French Lick Resort prize will receive a luxurious 4-day, 3-night golf vacation. Included in this package is a complimentary room for a three night stay for two at the French Lick Springs Hotel. Unlimited golf on the Pete Dye course and the Donald Ross course is also included. Cart and bucket of range balls included as well. This bonus prize is valued at $3,000.